Growing up in the '80s, nothing scared me more than a nuclear holocaust. When the TV wasn’t creating distractions with a giant talking rat or Saturday morning cartoons, it was reminding us of our mutually assured destruction with Threads or When the Wind Blows. Even now, nuclear war puts my teeth on edge. It’s not the explosions themselves, but the horror that comes after. 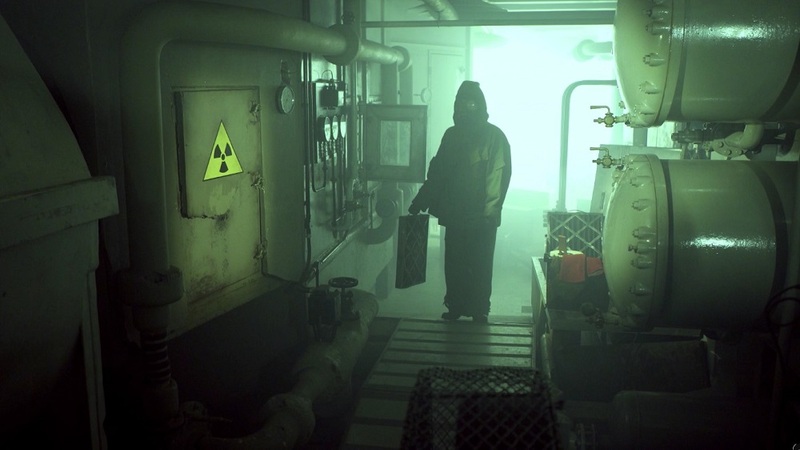 So trust me to play The Bunker, which combines one of my favourite cult mediums in the form of FMV with the harrowing subject of post-nuclear survival. Excuse me while I sweat it out for a bit. After his mother finally succumbs to illness, John becomes the sole survivor of a military fallout shelter, 30 years after the bombs wiped out Britain. Born and raised underground, it’s the only life he’s ever known; surrounded by fluorescent lights, concrete walls, old Commodore and Amstrad computers, emergency rations, stories of Rocky Balboa, and toy figures made from strategic blocks. John gets by on a simple routine, one designed to keep him alive for another 30 years. 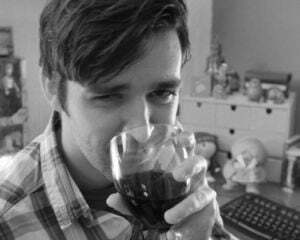 At first, things are fine, albeit lonely. But when a server malfunction leads to a catastrophic series of events, John is forced to flee the only home he's ever known. 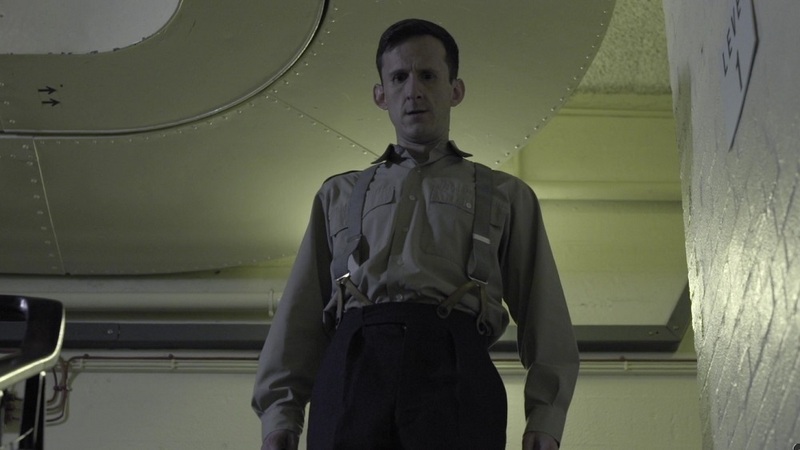 The Bunker is a grueling thriller, far removed from the tongue-in-cheek kitsch of Fallout. It’s around two hours long, give or take the odd collectable, but it’s perfectly paced and captivating from start to finish. For something that’s British and also an FMV game, the production is top quality. As an ex-film student, it’s like my faith in low-budget film making has been restored after seeing so much badly lit garbage on The Horror Channel. A fallout shelter might not be the most interesting location to set a game, but The Bunker perfectly captures John’s sense of claustrophobia and paranoia with intense close-ups, security footage, and just a really good use of lighting. 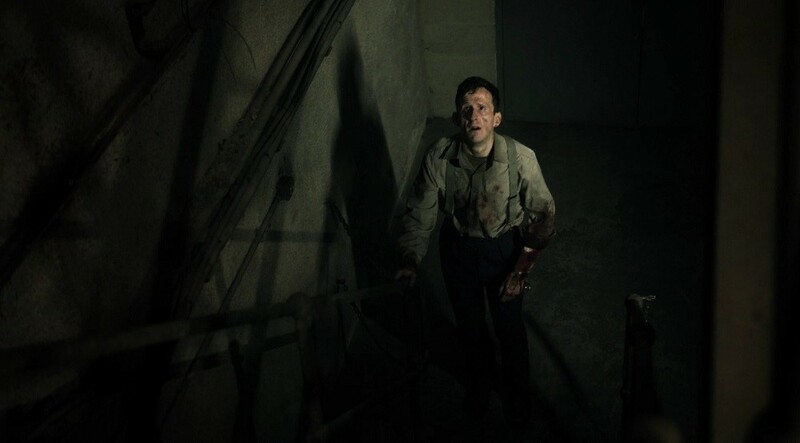 The Bunker is incredibly well-acted, with an excellent central performance. Adam Brown is perfectly cast as John, with the look of a bewildered schoolboy trapped in a man’s body. Though he doesn’t have much to say, he completely sells his predicament with puzzled looks, wide-eyed terror, and pained anguish. It's through him that we're compelled to see things through to the end, and if that's what The Bunker wanted to achieve, then it totally succeeds. 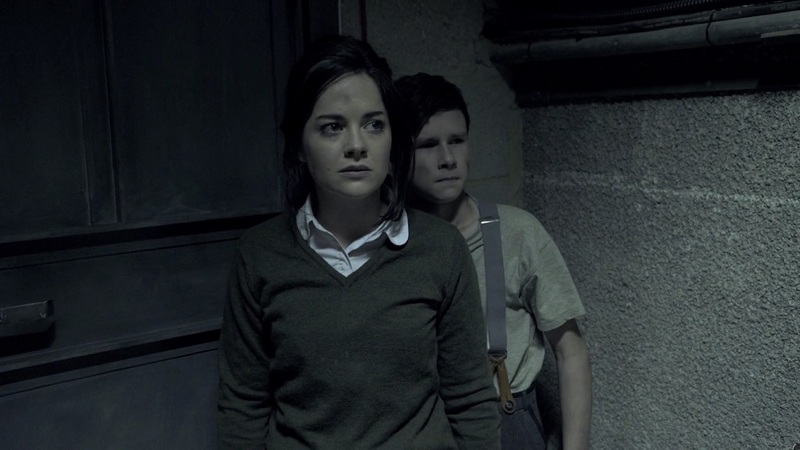 There’s also great support from Sarah Greene as John’s mother, and Grahame Fox as Bishop, their harsh commanding officer; both of whom lend some much-needed nuance to their characters' motives. As for the plot, it’s played completely straight and fairly naturalistic. Everything in the past informs John’s actions in the present, motivations are simple and clear, and while there’s an obvious twist in the tale, it’s not one of those absurd, last-minute swerves. In fact, The Bunker bows out on a strong note because it opts for a well-conceived dilemma over some The Twilight Zone wackiness. All of which makes the next part harder to say. While The Bunker is a great film, it just so happens to be a fairly average game. 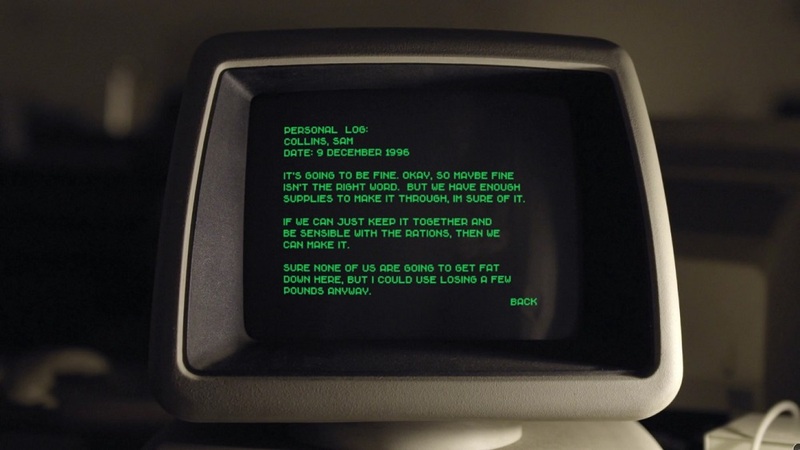 Despite being an interactive FMV adventure, there’s not much for the player to do. You examine points of interest, move from hotspot to hotspot, and complete puzzles where the solution is one click away. Occasionally, there’s a QTE, but there’s no penalty for failure, no special game over screen, or change in scene direction. 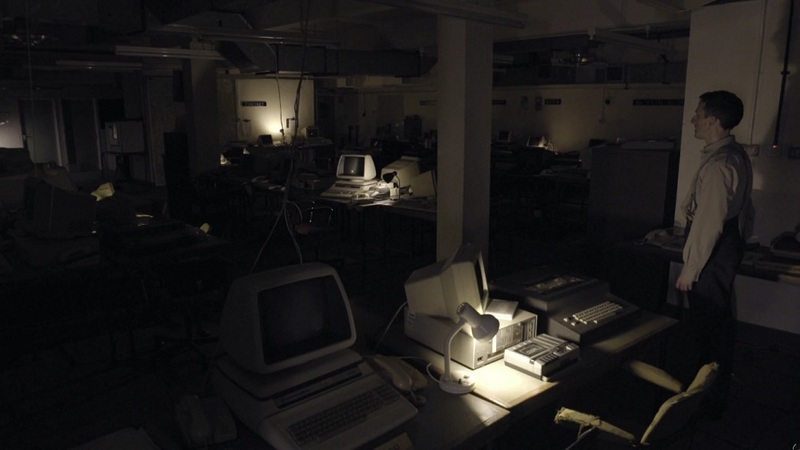 The Bunker is a very linear and tightly controlled experience, which sometimes forgets you're there. 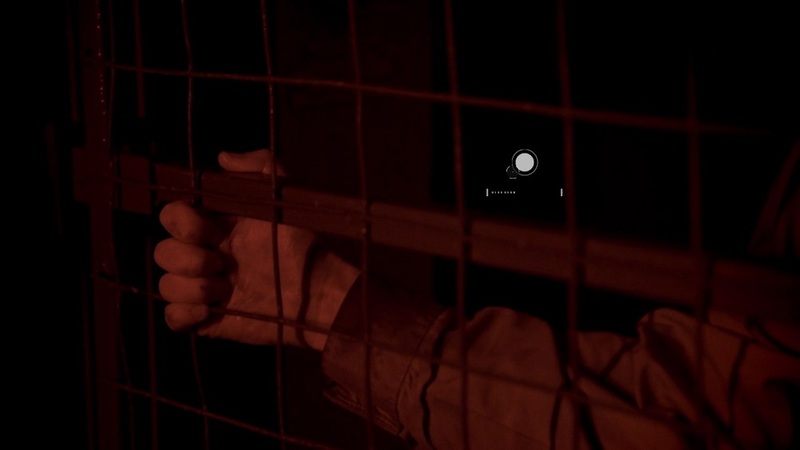 Even though it shows the potential of FMV in the HD age, The Bunker negates the deep interaction that made the likes of Tex Murphy and The X-Files so enjoyable. It clearly wants to emulate Telltale Games’ streamlined approach to adventure gaming, but then it completely forgets that studio's key workaround designs, i.e. decision making and dialogue choices. 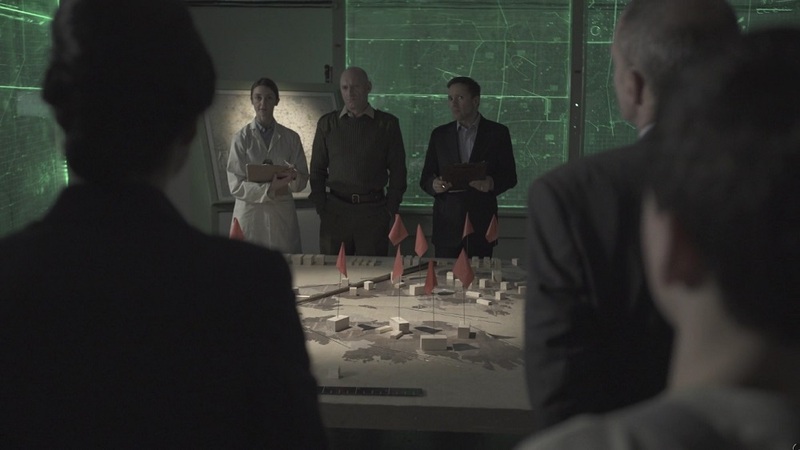 And since The Bunker doesn’t have a malleable plot until the end, there’s very little freedom in your actions. To make up for that disconnect, The Bunker throws in a few collectables. Documents, audio tapes, and John’s toys add colour to an already vivid past, but they’re all inessential. 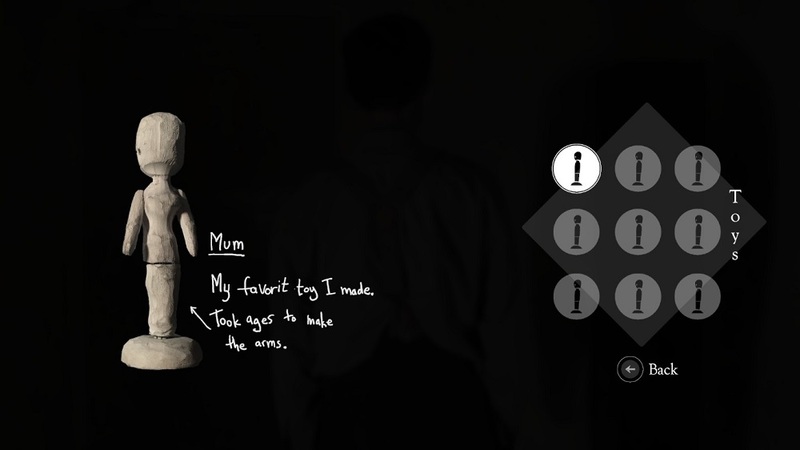 John’s toys – stick figures of the dead – aren’t even acknowledged, despite having their own inventory menu. They’re all well-written, though, and definitely worth examining when you’re allowed the time; especially since some documents give weight to periphery characters like Sam, the unnerved civil servant, and Vera, a woman inexplicably dying from radiation poisoning. Most of the time, along with the real-world location, they perfectly capture a period that wasn't all neon and synth-pop. Despite all the negatives, The Bunker is far from being a failure. The story is engaging enough to carry the shallow interactions and it’s a solid attempt at showing you how FMV can transcend its campy B-movie roots with decent production values and acting talent. And for that alone, The Bunker is worth a curious look. As a game, it might bring all this goodwill down a peg, but it never once feels like you’ve wasted your time. At worst, it's like you’ve watched a great horror/thriller with a faulty remote by your side. And if you get over that, you’ll enjoy The Bunker. Well, as enjoyable as a post-nuclear holocaust story allows, anyway.